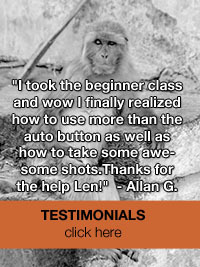 Digital Photography for Teens /Tweens -"After School Program"
• Introductions. Different kinds of digital cameras, and setting them to take the 'best' photos. • "We don't 'take' photos', we 'make' photos." Some ideas for using a digital camera for personal expression. • "What are all those numbers and dials?" •Practising using SHUTTER speed for better quality photos. • Composition. Simple ways to take more interesting looking images. • ISO and LIGHT SENSITIVITY. More in depth to these two keys functions of ANY digital camera. • DIGITAL EDITING. A presentation of some of the ideas, software and more importantly..an approach to how we can do some amazing things with our images in digital editing. Using a computer, a tablet or even our phone! •Taking photos of people. Practical tips how to take better portraits. • Photo Transfer art. Learn to transfer photos onto wood canvas panels and/or stone tiles. • Course remedial & questions and answers. Cost : $150 *includes FREE 8" by 10" transfer art & 16" by 20" print at end of session!